Theodore Harold Maiman (1927-2007) was born in Los Angeles and grew up in Denver. The son of an electrical engineer, Maiman earned money as a teenager by repairing people’s radios and appliances. After a year in the navy, he focused on his studies and eventually earned a Ph.D in physics from Stanford in 1955. He then joined a company under contract to the US Army and led a team working on masers (these are like lasers, but using microwaves). His team was able to improve the maser from a 2.5-ton machine to a small 4 pound device. Building on this success, Maiman convinced his bosses to fund his work on lasers. 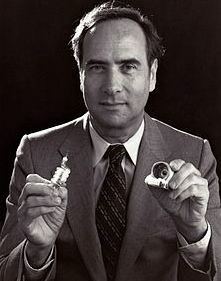 In 1960, he succeeded in creating the first working laser. Maiman went on to invent a number of other important innovations in the field of optics. 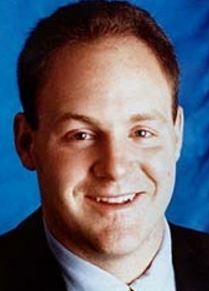 He also founded several successful technology and venture capital firms. His paper on lasers was described as “probably more important per word than any of the papers published by Nature over the past century.” Maiman won a handful of prestigious awards for his work, and has been inducted into the National Inventors Hall of Fame. If GM had kept up with technology like the computer industry has, we would all be driving $25 cars that got 1000 miles per gallon. This entry was posted in Science & Technology and tagged American Jews, Denver, Laser, Los Angeles, Maser, National Inventors Hall of Fame, Ph.D, Physics, Stanford, US Army, US Navy on June 11, 2014 by Jew of the Week.